Why am I receiving emails from Queen Odelia? We frequently feature special offers and online coupons, including reduced shipping rates and gifts with purchase, for our returning customers. There is often an online coupon code included to enter in during checkout. Queen Odelia charges your credit card at the time your order actually ships. How long will it take for my order to arrive once it’s shipped? Delivery time will depend upon the shipping method, please see our shipping information page for more information. With all shipping methods, your tracking is available via your account online or by contacting customer service. 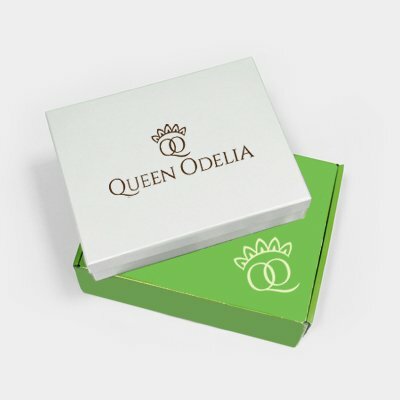 Queen Odelia will email a confirmation with all the relevant details of your order. If your order has not yet shipped, you should contact Queen Odelia Customer Service at: cs@queenodelia.com. You can monitor your orders with the tracking number provided right after placing your order (up to 2 working days) through the site of the shipping company (Courier). What is an online coupon code and how do I get one? An online coupon is a rebate (discount) that is given through special promotions for Queen Odelia products in different sites.